“Digital” might be a ubiquitous prefix to the term Digital Collections as most Library and Information Science programs now include skill-building for tools like the proprietary software Contentdm, while there are many proponents for alternative open-source tools. Many extracurricular and postgraduate courses are also emerging, such as the recently announced Digital Directions and Digital Humanities Institute for Mid-Career Librarians. This forum seeks to address some of the questions that arise from the recent development. A digital collection could comprise many things to different scholars and archivists. The hosts for this forum find in their projects the definitions of a digital collection. To Kaitlin Scharra, a digital collection could be the artifacts from a city’s past, and to Connie Wallace, it is unpublished letters from soldiers. Ben Shapiro studies digital collections as they relate to the surrounding physical content they reference and the digital landscapes and practices socially distributed curation and use they reside within. Many questions rise from their projects. How might one organize a digital collection whose content has strong relation to songwriting and music? Likewise, how might a digital collection support untold stories or counter narratives? Could we refer to a digital collection as a “virtual memory bank”? And if we did, how would we know what to put into our memory bank? What artifacts would be considered worthy, and how could scholars go about collecting these artifacts? How would you identify a digital collection? How are curators, visitors, and organizations using, sharing, and learning from them? These questions are certainly open-ended in today’s technology-based environment. To some extent, we might want to ask the question: Can a collection exist today without at least a digital component to it? Professionals and scholars face many evolving and exciting challenges regarding organizing, archiving, and preserving “collections” within digital environments. Moreover, digital environments pose numerous new possibilities for the design of “visitor” experiences and interaction, as well as obstacles such as finding space and website hosting options, and managing the digital collection as it continues to grow. The digital world of collections have been pioneered by such organizations as George Mason University and their collection of documents from the French Revolution, and most recently the 9/11 Memorial Museum. These examples show the wide spectrum of what could be considered a digital collection, and perhaps provide understanding in how digital collections could be interpreted. There are also a number of open-source tools to use to create digital collections online — such as Omeka, CollectionSpace, Collective Access, and OpenExhibits. What does the plethora of tools do to standards of metadata such as the Dublin Core? Some of the tools require scholars, curators, and archivists to become programmers since the tools require some customization of HTML, CSS, and PHP. What are the institutional ways to receive proper education to deal with this changing landscape? And how do we orient ourselves as scholars in a world where archival collections get smaller, and increasingly “local”? What about curatorial practices — do they change or remain similar in the practices of the digital archive? What about the objects? Is it still important for scholars and curators to have access to the “actual,” physical object? Or does it become irrelevant in today’s digital landscape? How can we better understand and distinguish between processes of personal, professional, and socially distributed curation from both research and practice perspectives? What is the relationship of collections, physical or digital, to their surrounding physical or digital context? How can this relationship be leveraged for the purposes of learning, engagement with the public etc. Many museums have historically faced pressures to expand their collections and/or access to reach marginalized populations. How have these pressures and efforts to meet such pressures evolved alongside new, digital collections? What is the relationship between the scale of a collection (digital or physical) and its design for a specific or a broad audience? How can we better think about digital collections and designing for scale? One reason that "curation" is suddenly a popular hobby: it's so easy to build a digital collection now. But building a sustainable, sharable, reususable collection - that's a lot harder. Building one that you can use for scholarship, that others can build upon, that's reproducable, footnotable... that's even harder. It's not that every digital collection needs to meet the highest standards of scholarly rigor and reproducability, but it's worth thinking, before you start, what standards you want to meet, and what you want the end result to be. Consider Pinterest. Pinterest is so, so easy: one click collection. You see an image that might be useful for research, you click on the pinterest button, and it's yours! I fell for the ease of use in building a collection for teaching my history of museums course this semester. The collection's here. Almost 300 "pins," images of museum exhibitions, collected from across the web. Mostly, found in the course of doing research preparing for class, but also, I admit, an excuse to wander the web rather than do real work. This Pinterest collection's been useful. I grab pictures from it for class lectures. I learned things from having a ready collection of exhibition images available that helped me in a recent talk on the unspoken rules of curation. It made that talk easier to prepare. I've shared it with my students, who may have found it useful. And the board has 50 followers. So it's a public digital collection that was easy to make and has some value. I learned things pulling it together, and from looking at it. But it's also has some serious drawbacks. Some of these I knew when I started, some I learned when I tried to do more with the material i gathered. Some of these are tied to the ease of collecting. The metadata is no better than the site you got the picture from, which is to say, mostly lousy. It's so easy to add a pin that it's easy to lose focus. You can't add pictures from closed sites like ArtStor, or at least not legally. Adding images from books takes a few extra steps, and so I often didn't bother. Some of these are part of the way Pinterest is designed. You can't change the order. You can't export your data, at least not easily. The captions have to be short. It's the last bit, about not being able to export, that is most annoying. Now that I have these images of exhibits over the past 500 years, it would be nice to make a timeline of them, to divide them into art, history, and anthropology museums, to set them up for analysis and as a more structured teaching and research resource. But as far as I can tell, that's very difficult. Yes, there are workarounds, tools like IFTT that allow you to send Pinterest pins (as you pin them - too late for me) to Evernote or Dropbox. I can copy pins to other boards. But mostly, your pictures stay in Pinterest. It's pretty, it's easy, it's public, it's useful.... but it's limited. The moral of the story: Think about the tradeoffs you make before you start. "Think about the tradeoffs you make before you start." I just got back from the National Council on Public History conference, and one of the most useful bits I took away pertaining to digital collections is a wordier version of Steven's reminder here to "think about the tradeoffs. . . before you start." One of the speakers pointed out that we tend to get really excited about the possibilities of a particular platform (say, Pinterest, or Tumblr), and try to shoehorn our project into that platform because we want to play with it. He cautioned that the technology should come *last*--that we need to make sure we have a clear sense of our goals for any given project or collection, who our audience is, how much interpretation we need to be able to offer, etc, before we even start thinking about which platform to use. I thought that was great advice, particularly for individuals and groups just starting out and baffled by the range of tools available to them. This is indeed something to be aware of. The most important thing is to use open source code tools. Your data is precious and your work (time, effort, sweat…) is priceless. Do not lock yourselves in the hands of the big brother. Of course, sometimes it is legitimate as advised, as long as you can always export your data without loosing any of it. For example, a lot of us use Google’s tools - email, documents, maps - we cannot run away from it. As for email and documents - we can grab them all at any time for any other supplier. For mapping, we just embed the map in our database while keeping in our hands (our database) the names of the places or the specific coordinates so we can switch to another map supplier in the future. It is also true when we decide whether to use a content management system (and which one), a programming framework (and which one) or to code it all "from scratch" (using some code libraries). It is easy to build up a WordPress website that will look shiny and for many simple curation projects the best choice - it is cheap and enough. But what if we need a complicated structure of data types, different views of the data, or sophisticated search capabilities? Will WordPress be still the right tool? However, if you do start to build your collection (say, photos, as in the Pinterest example) with a simple open source system then your database is yours. If later you want to build a more complex one you can import the data you have entered to the simple open source system into the more complex one. So, the advice you got not "to shoehorn our project into that platform" is true not only for proprietary tools, but also for open source software ones. I had never thought about using Pintrest as an application for teaching, but I can see how it would be easy to store images that you wanted to share of your digital collections. I can also see the drawbacks. We are only as good as our 'links.' :) I haven't explored Pintrest, so I don't know how much advice I can give on retrieving your images, but I do know of a great timeline application called Timeline JS. ( timeline.knightlab.com.) This might help you with creating a timeline of your images. Let me know how it goes, and send us a link if you do try it. I would be interested in seeing the outcome. 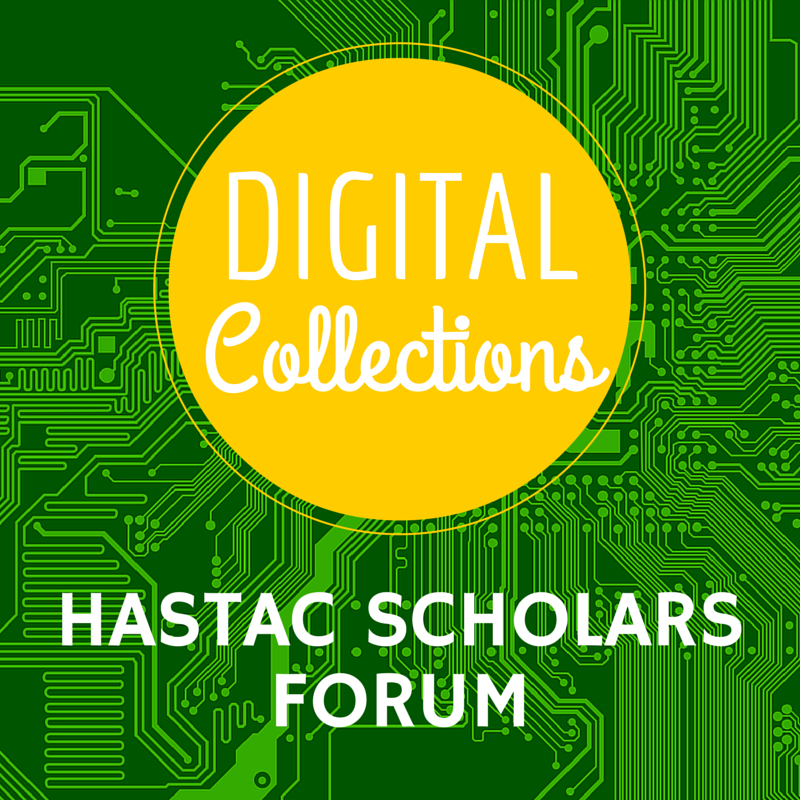 Digital Collections Forum - Welcome. Let's get started!! As one of this forum's host, I would like to welcome our visitors. We are very excited to get this conversation about Digital Collections going. I know personally the great joys of collecting history, as I personally collect WWI and WWII letters. Currently I am working with Brenda Burk at Clemson's Special Collections Department to gather the WWII letters of Clemson's Alumni. My hope is to create a Military Hertiage Site for those of the Alumni who served in WWII. I think the greatest challenge to me is visualizing the first initial step. You have this great idea, but how do you start the collecting processes? Who would you talk to about getting and collecting the material? I was really excited yesterday, because someone from the Class of '39 forwarded to me a spead sheet with the names and addresses of the sons and daughters of those members from the Class of '39 who served in the military during the Second World War. But now, I wonder, how do I communication with them about my idea? What are the best practices in relating to these donors the "idea of the century?" Once we do have some materials, what kinds of programs would be useful in digitizing and displaying the letters? There are so many things to consider when trying to merge traditional research with digital methods, and in today's world we sit upon the intersection of those who are Digital Immigrants (like me) with those who are Digital Born (like my students), and its makes it even more challenging for some of us immigrants. Thank you for stopping by and participating. We all look forward to the discussion. As part of our project, we are hoping to build technologies that digitally store collections of songs, oral histories and music in a format that is mappable, shareable, and accessible while experiencing the walkable city of Nashville. We were wondering if others might be able to share related work or offer advice on how to build digital collections of songs, music, or oral histories? Looking forward to reading about others' projects and ideas. I have no experience building sound-based digital collections, but I've been very impressed with the flexibility of an Omeka-based program called Curatescape, which would allow you to do all of the things you mention here--store music and oral histories as sound files, build stories around those files, map them, and have them accessible as a web app so people could access your collection as they move around the city. Reno Historical is bulit on Curatescape, as is Salt River Stories (which includes sound for some sites)--check it out! Curatescape seems a good fit for this project. It's strong on mapping, and good for audio and video. Not free, and takes a bit of effort to set up. We use it for RhodeTour. There are several dozen projects using Curatescape now... would be great to be able to link these together, and search for stories across the country. Hi Tracy and Steven, these are really neat! Thanks for sharing--my team will love these and I've passed them on. I've seen some of Mark Tebeau's work but not Curatescape. I really like some of the interfaces for embedding audio on Salt River Stories and Rhode Tour. We've been attempting to embed audio files and video along 'lines/paths of movement' but this has proved very challenging over the past year. I am a MA student of Anthropology working daily with archaeological collections. I have a strong interest in making these artifacts of public history avaliable, you got it, publicly. The motivation behind this is to not only show what items exsisted in the past, but reaffirm the value in the cultural resources of today. These items pocket the ground under our very feet and can be subject to destruction via construction, climate, and other issues. I also emphasize the importance of the scientific and careful exctraction through excavations for research. For me, digital collections are about creating public interest and a forum for understanding. I am hoping through the discussions in these comments we can investigate the importance of public platforms, preservation of digital media formats for continued use, and discuss further our individual strategies and goals. This seems highly relevant to the digital collections forum. Perhaps others have thoughts on this initiative and it's usage of digital collections to map urban history and stories? Thanks for sharing that link. I think more and more scholars are researching the spatial history of areas, especially locally. I know one of my Professors Dr. Pam Mack, has done something like this with the Clemson University area and the man-made lake surrounding it. The GIS mapping overlay provides such interesting and thought provoking ideas, as well as questions, concerning how the growth of the area not only affects the history of a population but also its landscapes, and how each contribute together a multi-dimensional aspect to their story. Thanks Connie. Dr. Mack's work sounds really interesting. It's very neat to learn how others are thinking about "layering stories" told by different people in one map to create a digital collection. I'm in Chicago this week for the AAG (geography) conference and there are a few panel sessions on spatial mapping for the humanities relevant to telling spatial stories and creating digital collections of such stories. Will share here if I find any good projects/links. When you get a chance, let us know some of the highlights of the conference. I'm very interested in how historical stories could be retold with new interpretations by merging them with spatial mapping. Something I've been thinking about lately is how long we expect digital collections to live on the web. Do we see them as permanent? As temporary? How do we decide what stays up and what comes down, how do we archive a collection that we may no longer want online (or do we), etc.? I've been thinking about this because I have a class of fabulous grad students building Omeka-based digital collections and exhibits for the Detroit Historical Society (DHS). DHS which saw Omeka as a way to make some of their more popular temporary exhibits permanent digital exhibits, which is a cool idea. But it's also a little weird--those exhibits were designed to be temporary and short-term in one medium, and now they are being transformed into long-term exhibits, based on digital collections, in another. What are the implications of that, both for collections management and for curatorial practice? For our own projects, or for projects with students, how do we determine when to "sundown" either a digital collection or the exhibits or tours we build from items in it? I used to think that these should be permanent, but now I'm not so sure. Yes, the technology keeps them going for a long time, but design and content (and often links) don't always age well. Ideally, we'd review and update exhibits every so often. But in practice, we forget, and they linger, surprising us, not always pleasantly, when google or a friend points them out, years after we had forgotten them. And students may not want their student work so easily available when they've moved on to other things. This is such an interesting question. One idea we have been working with, on the "tour" side of things, is to have popular tours that are collections of curated content by professional curators or alternatively by visitors be kept according to their use. Tours that are used or viewed a lot by others remain in the larger repository of tours while tours that are not used gradually fade and are erased. Digital Collections - permanent or not? I have been thinking a lot about the permanence of digital collections. My concerns began several years ago - one of the assignments for an undergrad Anthropology Capstone class I teach is to evaluate and critique an anthropological digital exhibit that a museum or university has on their websites. What became clear - and appalling - were the number of outdated, barely working "permanent" exhibits that museums (and other institutions) still have up and accessible. I think that we often do not take digital exhibits as seriously as other kinds of exhibits. Either someone has to be in charge of keeping it up-to-date, or we have to have an explicit date that it sunsets. Might be interesting to have a collection of former digital exhibits and collections that have basic information about the collection without the expectations and work that goes into maintaining the whole thing. Bottom line - we have to think about the future of anything that we put on the web as a collection or exhibit, and put specific plans in place, with archives of the whole. Really interesting forum. I've recently been thinking a lot about the existence of a collection without a digital component as I've been working on a digital archive for a nonprofit in Nashville,, Humanities Tennessee. The archive displays interviews with "Nashville's New Faces," recent migrants to greater Nashville and includes photos, audio clips, and an interactive map. I am interested in flipping the question posed above: "Can a collection exist today without at least a digital component to it?" What if there is ONLY a digial component, in my case a digital archive linked to Humanites Tennessee's home page. What is the population excluded from the collection if it only exists in digital form? When we make pointed decisions about what to publish online in a virtual collection, are they different from collections made available in a non-digital form...are we making more or less decisions for our visitors about the content to which they will be exposed? Do Digital Collections Online Exclude some of the Population? Megan, I found that question very interesting? I think we forget that there is a majority of individuals, even in today's technology based world that don't have access to computers or other avenues to connect with the internet? I know when I was teaching ninth graders up here in the North Georgia Mountains, it surprised me how many of my students could only access the internet from school. I certainly think this is a good topic to discuss further. How do we handle this? Are we limiting ourselves to just a certain audience when the material is just in digital form? I think your last question opens up a potential for needed discussion concerning how we can present the material without making that assumed decision for our audience. This is a terrific thread, thanks everyone for sharing your insights and links to resources. I created a research methods teaching tool at interracialintimacies.org Fortunately my institution provided funding through a teaching grant and I was able to hire a web designer to create it for me. I wanted to create a visual representation of the research process and teach students from high school to grad school how to do social science research, including oral history. I have used it in three class and so far, so good. A student will be travelling with me to Digital Diversities next month to talk about her experience using the cite to learn historical methods. I am keen to get feedback so if you visit it do let me know what you think. I am now trying to figure out how to promote it. Any suggestions would be welcome! It's great to meet another Historian who merges the aspect of digital tools with traditional research. Thank you for stopping by with the link. I am a big believer that our future with research must merge with the digital. I really like your button for "How to think like a Historian." I will be joining a professor this fall for a Creative Inquiry Class, and helping another one with Oral History. I will certainly encourage the students to visit your webpage. Lots of great information there. What should be in a digital collection? On a related, but slightly different note, I have also been wondering about what should be included in digital collections. Often, I see a lot of cool images, but not always the data or context of those items. As an archaeologist, I find the lack of context very problematic. Obviously, digital collections are created for different purposes, but are there basic metadata that a viewer should always be able to access? Families as Digital Collections Curators. I'm very new to the field but some initial thoughts include family histories and genealogy whe clustered together within the framework of "digital collections" using facebook/flickr and other social media, these families are their own self contained digital institutions. What might be genealogy to the family, if shared with the public online (and some provided historical context) their family could be considered a unique collecting institution for a specific geographic area. I plan on teaching my family to use some of these open source tools to present information to the public. This is a very interesting topic. I like the fact you brought up that the family has the potential of being the "unique collecting institution for a specific geographic area." I think we tend to ignore sometimes, how a families' history can play an important role in the history of their surrounding area. Thanks Connie. Who knows the geography and history better than the families who have been in certain neighboorhoods for 4 and 5 generations.